The captcha was invented in 2000, and since then it has become an integral part of the Internet. Users encounter it when you try somewhere to register, leave a comment or just by the increased activity. How to fill out a captcha, and can we do without it? The word "captcha" is a Russified version of the English acronym CAPTCHA (Completely Automatic Public Turing Test to Tell Computers and Humans Apart — completely automated Turing test to distinguish computers and humans). It is a popular tool to differentiate between people and robots who are trying to perform certain actions on websites. Thanks to the captcha now the social network is not cluttered up with army of bots. The main purpose of captcha is to protect from bots. Lifeless site visitors can contribute to the cheating in the voting, to clog the comments with insults or advertisement, to register hundreds of new users are bots — all this helps to protect the captcha. 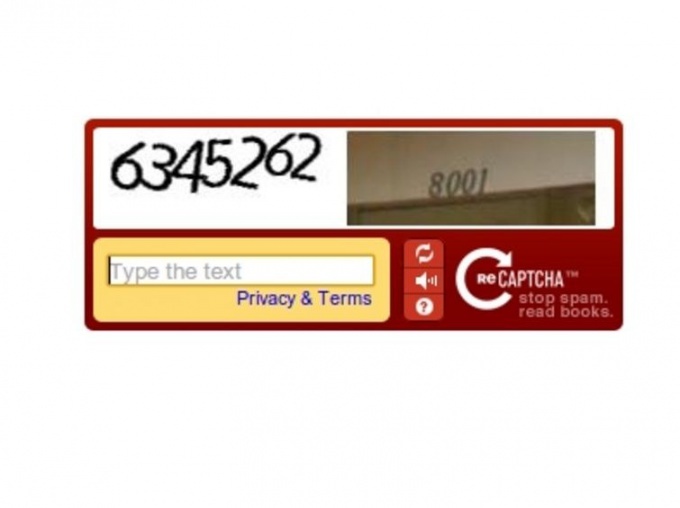 It is assumed that the robot captat can't, but for a living person is not difficult, and so the captcha will save the website from the invasion of the bots. In file-sharing services make a captcha to enter, so you couldn't add a link to the software to download, and everything was done by hand (and thus have seen all the advertising). If you show excessive activity on the website (for example, leave too many comments in social networks), you can also get to enter a captcha to prove you are not a robot. The most popular version of captchas — the distorted letters, numbers or combinations that you need to determine and enter. Some sites offer more interesting options. It can be simple math problems or simple issues, for example, "4+6=" and "capital of Russia". There are variants of captcha, in which you have to arrange the pictures vertically few pictures or just to put a tick. There are exotic options. Somewhere you want to solve the problem of higher mathematics, to demonstrate knowledge of the Arabic language. Fortunately, this is not a common phenomenon. For people with visual impairments is provided audiotape offering to set code by ear. Of course, craftsmen have come up with many ways to bypass the captcha. Bots can determine the appropriate combination code based on information contained in the code of the web page, choose the correct answer by a simple search of variants. A more difficult way is the use of programs for automatic text recognition. For example, computer scientists have learned to recognize the captcha by using the popular ABBYY FineReader. There are also services on a paid recognition of distorted text. But a lot of money on captcha is unlikely to succeed. 1000 correctly recognized images are not more than 20 rubles. This protection method has many opponents. Criticism is mainly related to inconvenience to the user. To do a little poking around in indecipherable characters, which often have to enter at random. And good eyesight is not conducive. On the other hand, nothing better from the standpoint of ease of use and quality are yet to be invented. Once that happens, the captcha will go down in history, because so uncomfortable services unless you absolutely need to use no one will.